Lia lives on a farm and helps her mother take care of it. Colorful illustrations and descriptive text will help readers follow along as Lia helps her mother throughout the day and the year. 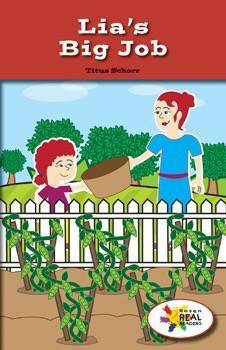 Readers will learn how peas are grown from seeds and how people can grow their own dinner. This fiction title is paired with the nonfiction title I Help on Our Farm.